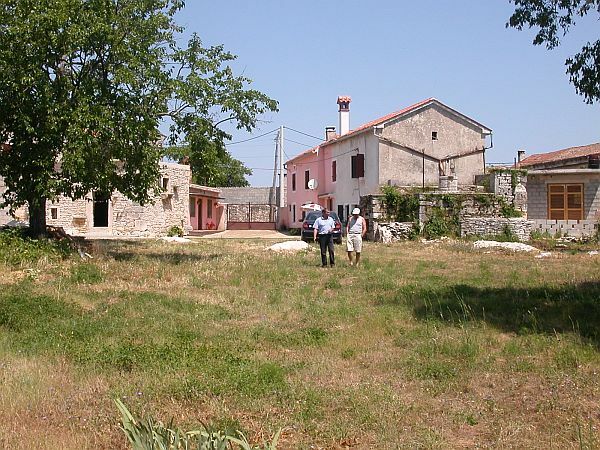 We are pleased to offer this interesting old Istrian stone house for renovation. 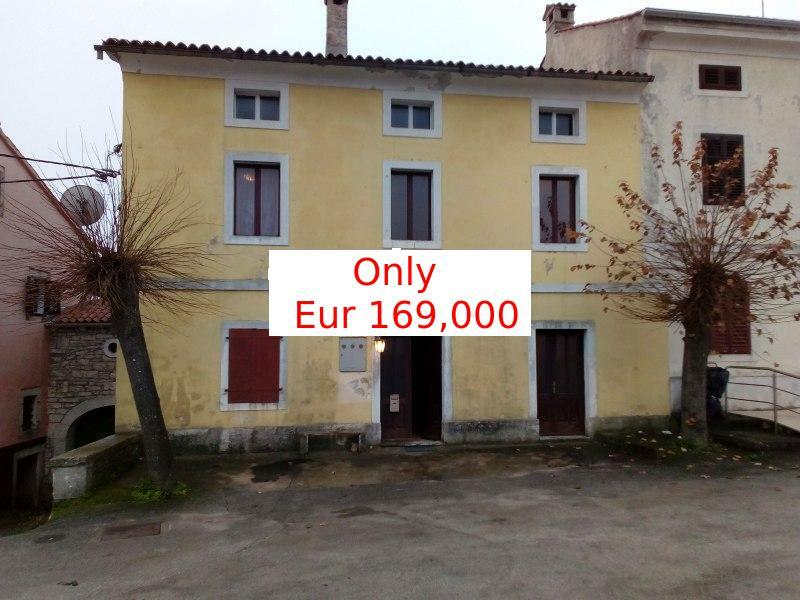 Located in the heart of the village, the building itself is semi-detached on two floors with two rooms on each. 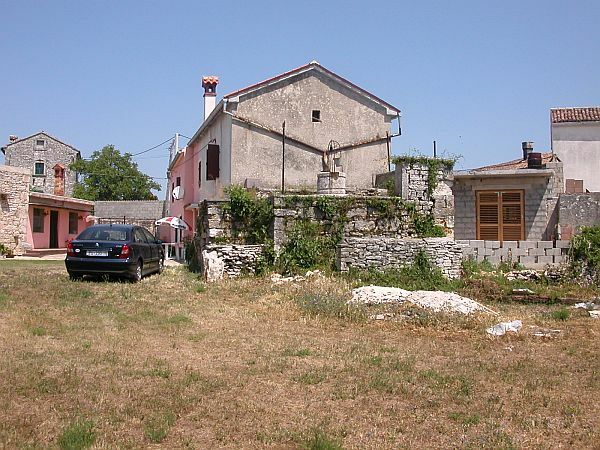 Access to the property is via a drive-through main gate that is shared with the neighbour; this and the neighbour’s property are situated around a courtyard area suitable for cars. 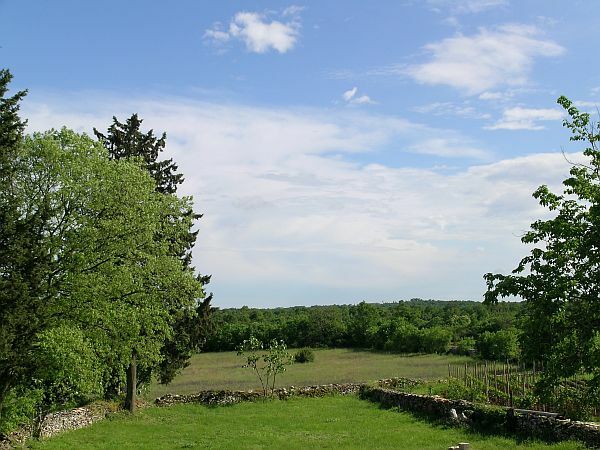 The property is of old Istrian stone construction and at present plastered over. 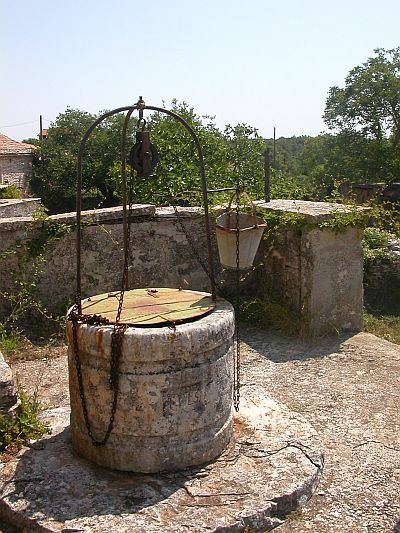 Attached to the building is an old water tank (sterna), also of old stone construction with an antique well atop; the tank also acts as a terrace and would be ideal as an additional room to the building with a little renovation. 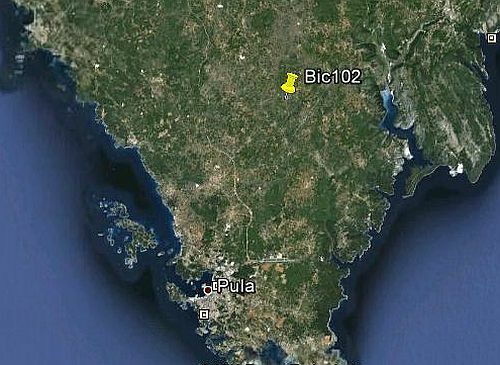 The building has a new roof, mains electricity and water supply although will require construction of a septic tank for waste water. 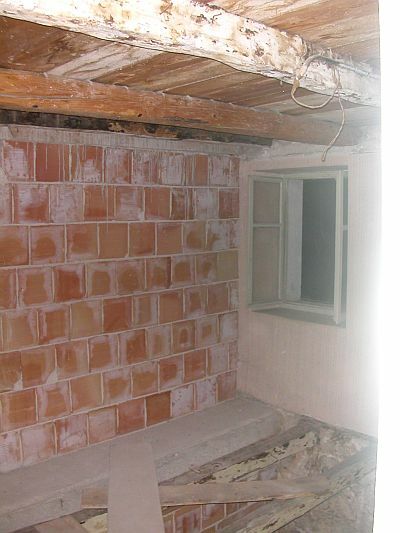 Otherwise it is a sound shell construction requiring full interior renovation and a perfect basis for a project. The front door leads straight from the central courtyard into this large room with stone floor. There is at present one window that also faces out to the courtyard. At one end of the room is an arched wall that leads to the smaller room and at the opposite end is the staircase leading up to the first floor. 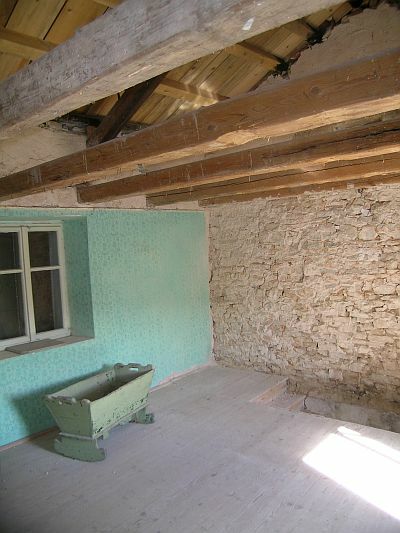 This room would make an ideal kitchen diner or large living room. Access is through the archway from the main room. 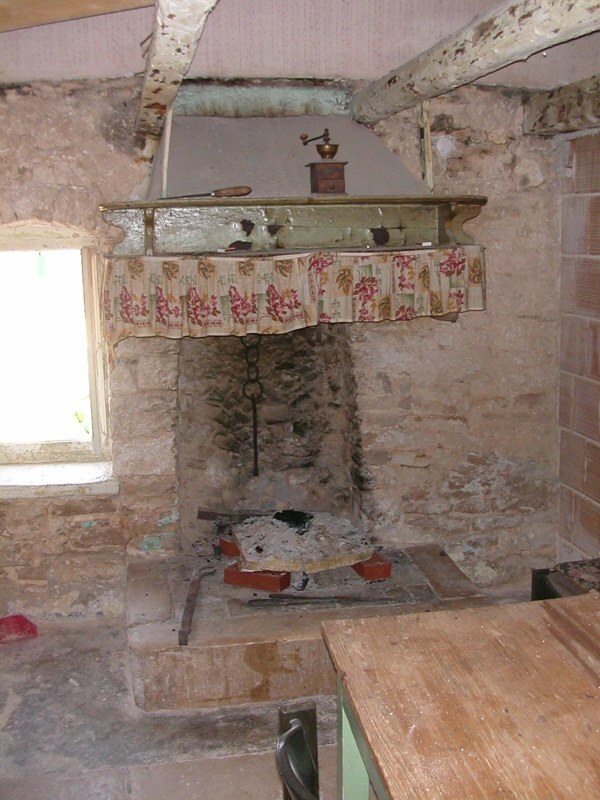 The smaller room has a window to the courtyard and an old Istrian fire place. It would be well suited as a small snug room. Ideally the master bedroom, this room has windows on two sides and lofty ceiling with exposed rafters. There are new wooden floorboards and the expanse of front wall could be adapted with French windows to give access to the outside terrace that is atop the water tank (cf. below). At present the room has no floorboards but has one window and also a high ceiling to the rafters. Access is via a doorway from the Main Room and would be well suited as an en-suite bathroom. 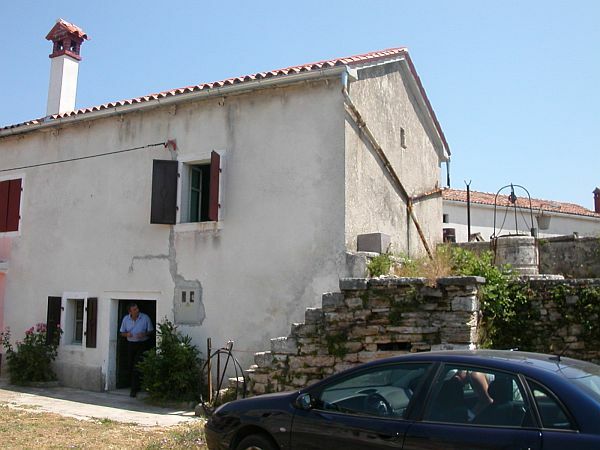 The water tank (4m x 4m), like the house, is of old Istrian stone construction and in this instance has not been plastered over. it abuts the Main Room on the ground floor and could be knocked through with a doorway to provide an additional room (perhaps a kitchen). There is a stone staircase running up the side of the water tank to the top which is a large concrete floored area, in the centre of which is an old stone well. The top of the water tank is level with the upper Main Room and therefore ideal as a terrace from the first floor with views down the garden and to the countryside beyond. 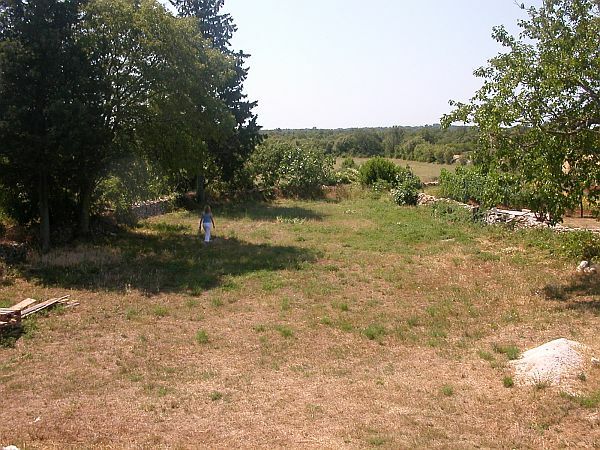 Garden There are approximately 1000 square metres of garden, which is bounded on three sides by a thick dry stone wall. Within the garden are two fig trees and mature wild cherry and mulberry tree. The rest of he garden is grass. Beyond the wall at the bottom of the garden is a farmers field and then woodland.